It was very comfortable in Falmouth Harbour, protected from the swell that affects many anchorages in the Eastern Caribbean. The water is not so clear but the only real annoyance was the wash from speeding tenders: fellow cruisers of all ages and nationalities were guilty of breaking the 5 knot speed limit. The local amenities were also very pleasant: a good choice of restaurants, shopping, laundry etc., but with a few days of cloud and rain forecast we decided it was time to head on. The east and north coast of Antigua is indented with bays that are fringed by small islands and extensive coral reefs. There are only a few access points that are safe for a yacht to use. One is at Green Island, which is uninhabited but is owned and retained for use by an exclusive club on the nearby coastline. To the north of Green Island there's a lovely anchorage, which has a safe passage through the reef so long as you approach in good light - when the sun is high in the sky and definitely not in your eyes! It's a wonderful place to spend a few days relaxing, swimming and snorkelling, though the cloud and rain were a dampener for us. 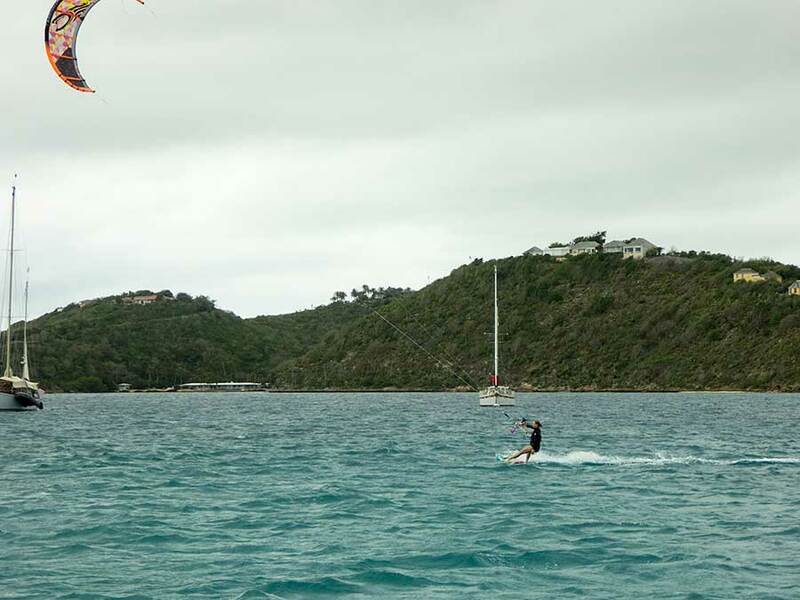 The anchorage is also a popular spot for kite-surfers and it was entertaining to watch them. 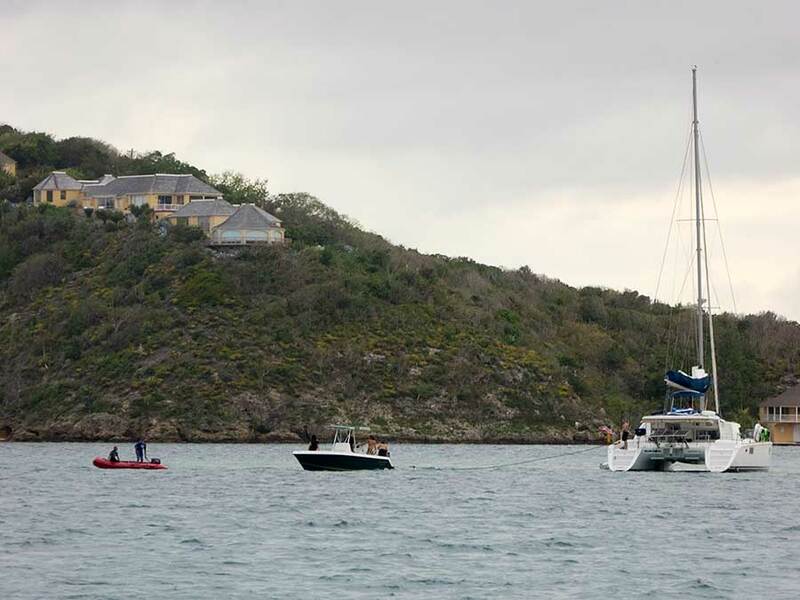 During our four days there we saw two yachts hit the reefs. One was a catamaran that fortunately was soon pulled off. The other was a monohull that was lying sideways on a reef to our north, next to a narrow channel leading into the bay. We noticed it as we were leaving (in the opposite direction) early in the morning. Help was on it's way but we wondered why they had been attempting such a difficult passage so early in the day.